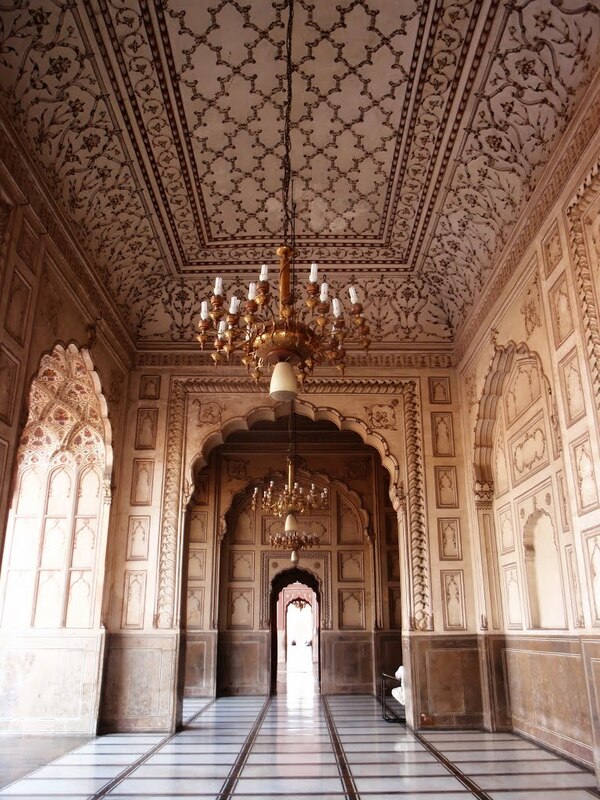 The imperial of the Badshahi Mosque is across the courtyard from the Alamgiri Gate of the Lahore Fort. 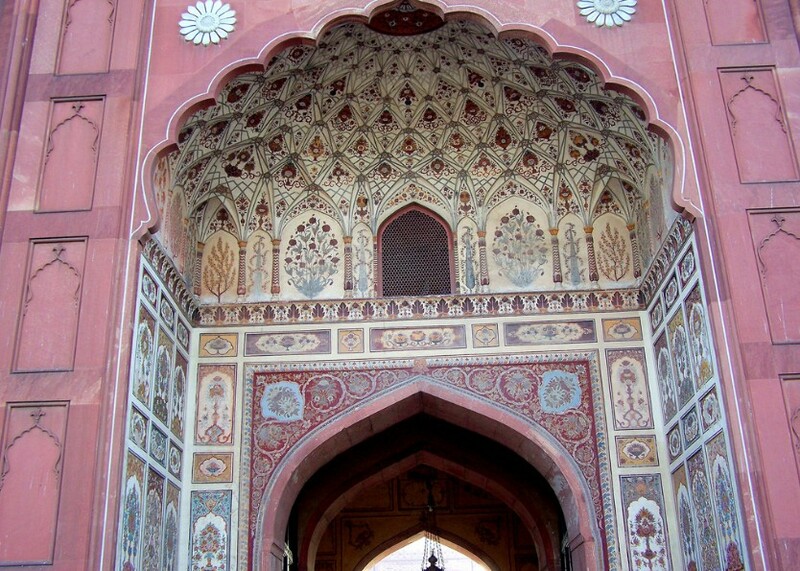 The mosque,made up entirely of red sandstones, was built by Emperor Aurangzeb in a record time of two & a half year. It was completed by 1674AD. It has a beautiful specious portal which measures 21.33meters in height and　courtyard that measures 161.5×160.6meters. It is said to be the largest mosque courtyard in the world for outdoor prayers. 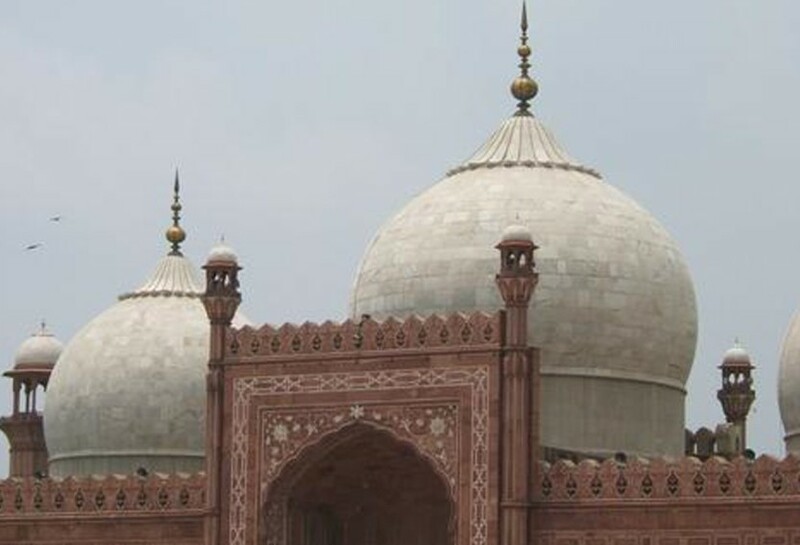 The marble domes cover seven circumference of 20metres soaring up to 54metres. In the chambers above the gate of the mosque, are housed relics attributed to the Holly Prophet of Islam(Peace be Upan Him), his daughter and his son-in-law. These are said to have been brought to South Asia by Tamir Taimur. Within the Mosque, almost all the colours have been used to paint the floral designs but the overall effect remains one of sobriety,elegance,piousness and simplicity. -Must see Pakistan, Pakistan Info. Business Event Must see Pakistan Pakistan Info.